Santa Cruz County is located the southernmost central part of Arizona, bordering Mexico and serving as the gateway to North America's most important port of entry, Nogales, Sonora, Mexico. 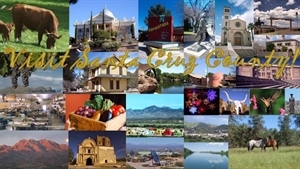 While it's one of the state's smallest counties, Santa Cruz County is also one of Arizona's most diverse and interesting destinations, offering an eclectic blend of history, culture, art, recreation, shopping, cuisine and entertainment in a beautiful and relaxing setting. Our unique region of the American Southwest offers a profound sense of belonging; a timelessness among our sometimes snowcapped mountains, Sonoita Creek,Patagonia Lake, and the majestic San Rafael Valley. The harmonious mix of cultures offers richness not easily found elsewhere. Here, Native American, Hispanic, and Anglo cultures come together. Includes Cities/Towns: Elgin, Nogales, Patagonia, Rio Rico, Sonoita, Tumacacori. Stop by the “Pimeria Alta Museum” located in the Old Nogales City Hall and Fire Station built in 1914. This is listed on the National Register of Historic Places. The history exhibits include: Camp Little/Buffalo Soldiers, African American Nogales-born jazz musician Charles Mingus, the U.S.-Mexico Fresh Produce Industry and many more. The 1904 Santa Cruz County Courthouse houses the Cowbells and Rangers Museum, which provides information on local heritage and offers public tours. Nogales-Santa Cruz County has 200 historic properties included in the National Register of Historic Places. Take a stroll through downtown Nogales, Arizona. The self-guided walking tour takes you through the commercial and residential sections of the city’s center, where legends abound. It is rumored that Pancho Villa hid in secret compartments of houses along Crawford Street. The Juan Bautista De Anza National Historic Trail begins in Nogales, travels to San Francisco, California, and continues east around the San Francisco Bay. The national trail celebrates the route followed by Anza in 1775-76. Anza, a tough frontiersman who spent much of his life in Sonora, led a party of 30 soldiers and their families to found a presidio and mission on the San Francisco Bay. Anza Days at Historic Canoa Ranch Oct.
Day of the Dead - Nov. The Hilltop Gallery was first opened in 1972, since then it has enriched the art of both sides United States and Mexico by presenting over 20,000 works of art including local artist as well. Every year, over 5 million people cross the U.S. – Mexico thru Nogales and over 680,326 cars. Hacienda Corona De Guevavi, beautifully restored historic ranch headquarters frequented by John Wayne and other Hollywood stars. The Nogales Rides Transportation is provided to seniors around the Nogales Area by the city of Nogales free of charge. Seniors ride are free. Jan 28.7 F° 45.8 F° 63.0 F° 1.3 "
Feb 30.7 F° 48.1 F° 65.5 F° 1.1 "
Mar 34.3 F° 52.3 F° 70.3 F° 0.9 "
Apr 39.7 F° 58.6 F° 77.5 F° 0.5 "
May 46.7 F° 66.3 F° 85.8 F° 0.3 "
Jun 55.3 F° 74.9 F° 94.5 F° 0.6 "
Jul 63.8 F° 78.2 F° 92.5 F° 4.2 "
Aug 62.8 F° 76.4 F° 90.0 F° 4.2 "
Sep 56.3 F° 72.2 F° 88.0 F° 1.7 "
Oct 44.7 F° 62.6 F° 80.5 F° 1.3 "
Nov 34.2 F° 52.3 F° 70.5 F° 0.7 "
Dec 28.7 F° 45.7 F° 62.7 F° 1.4 "
The average warmest month is June. The highest recorded temperature was 112°F in 1990. The lowest recorded temperature was -4°F in 1978. Condos Over 50 Communities Villa Paraiso Apartments is a charming neighborhood complex that has a home to suit you. Central and safe neighborhoods. Those seeking the convenience of renting also enjoy a variety of options with complexes, duplexes and condominiums available across all neighborhoods within the city. Home care Senior center Visiting nurses Services for seniors are well developed in Nogales - Santa Cruz County with a busy senior center (Santa Cruz Council on Aging) that offers a noon meal. Transportation is available in town and home health is available for those that have a need. There are lots of volunteer opportunities in the Nogales, Santa Cruz County Region. We have the local hospital, senior center, that use lots of volunteers. 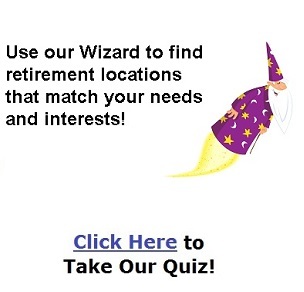 the Nogales-Santa Cruz County Chamber of Commerce uses senior volunteers. We have an adult day care that uses volunteers. Our schools need volunteers.